Comprehensive and concise, Strategic Planning for Collegiate Athletics offers a step-by-step approach to planning and managing successful athletic programs. For athletic administrators at the collegiate level (and those in high school or recreational programs), this valuable resource will help you analyze your organization's environment, set objectives, decide on specific actions, and obtain feedback to create a dynamic plan for your department. Addressing the advantages of devising a blueprint for your athletic enterprise--such as knowing what to expect of colleagues and having a clear picture of future directions--Strategic Planning for Collegiate Athletics offers you easily implemented methods and suggestions to help your athletic department develop a map toward greater success and achievement. According to a recent survey, athletic departments are much more effective when efficient and formal planning occurs every year and a long-range plan is in place. Strategic Planning for Collegiate Athletics provides you with a proven formula to help your athletic program expand and succeed at a higher level. 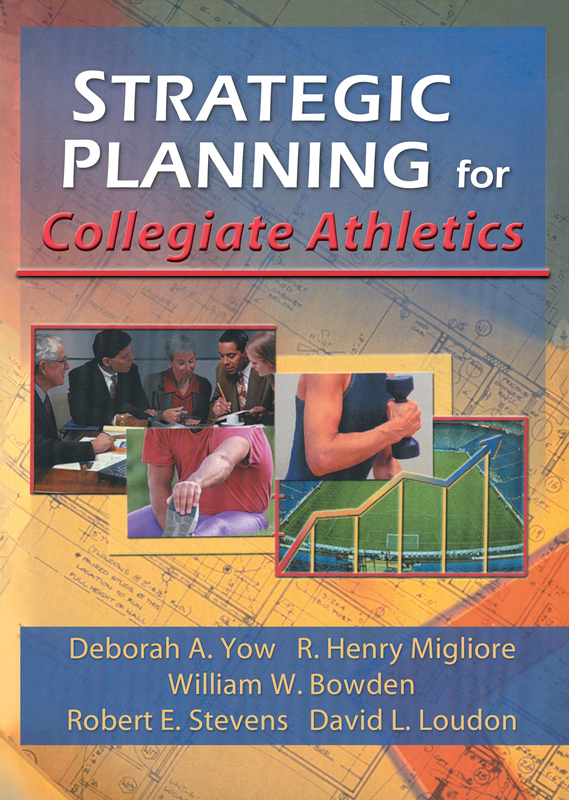 Containing helpful worksheets, outlines, and charts, Strategic Planning for Collegiate Athletics includes examples and suggestions from real-life athletics management situations. This invaluable guide will assist you in creating an ambitious and knowledgeable marketing plan for your athletic program that will bring pride, heightened success, and financial benefits to your organization.